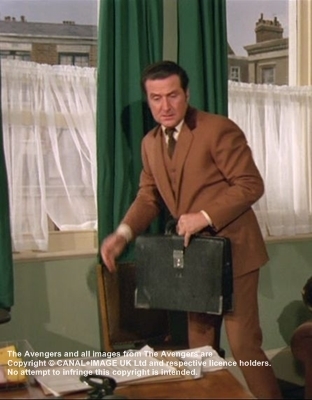 Steed's had to travel during The Avengers, either when he is going on a mission as in The Big Thinker or The Town of No Return and The Master Minds, when he has been invited to accompany Mrs. Peel or when he's going on holidays such as in Stay Tuned or The Girl from Auntie or when he arrives at the island in TNA The Eagle's Nest. 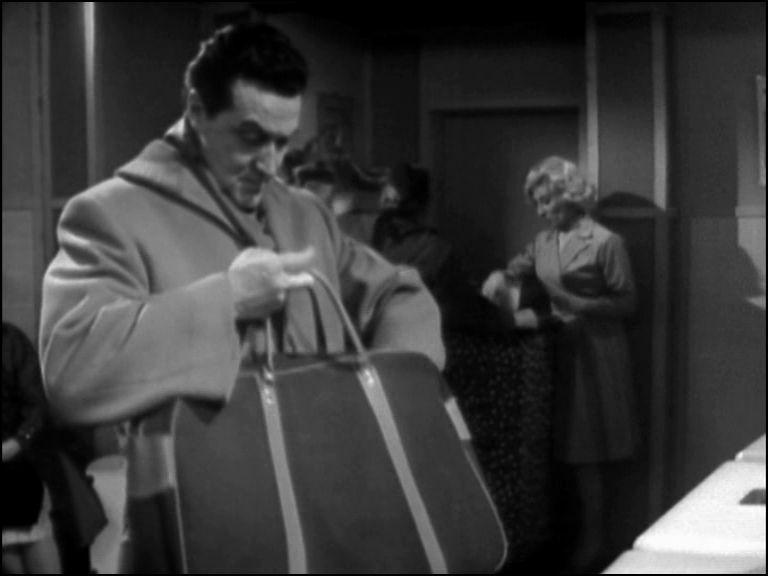 Steed has several suitcases and handbags. 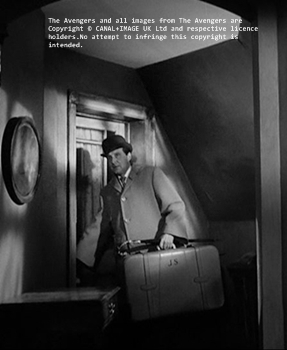 In The Town of No Return and Too Many Christmas Trees Steed packed his shirts and socks in a light brown leather suitcase with his initials "J.S." 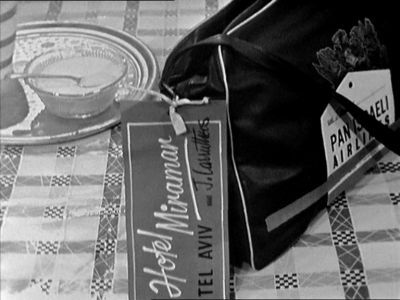 on it. 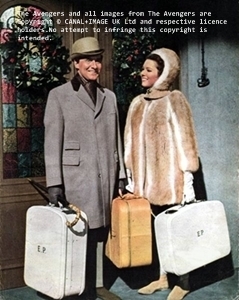 I guess the suitcase from The Master Minds that Mrs. Peel unpacks is the same one. 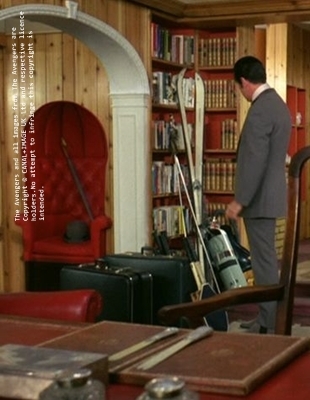 In Stay Tuned Steed uses two black leather suitcases of different sizes. 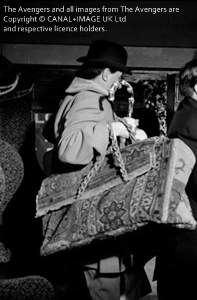 Tara unpacks it searching for evidence where Steed has been for three weeks. 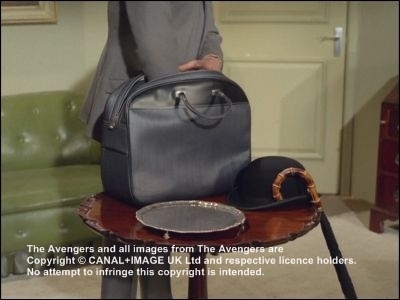 John Steed is also using briefcases in several episodes, for example in Trojan Horse, Mr Teddy Bear or TNA The Eagle's Nest.